When you hear the word ‘Greenery,’ what comes to mind? Nature is overflowing with this earthy color in grass, trees, leaves, flowers and plants. 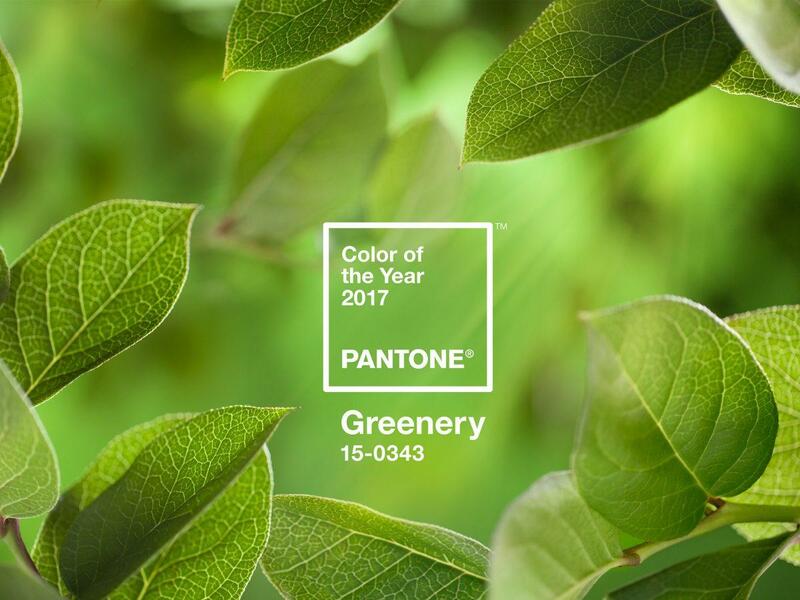 The color of 2017, chosen by the Pantone Color Institute, Greenery, provides us with a refreshing and revitalizing take on nature as a whole. The color isn’t just visual; it also represents sustainability and ethical growth in the fashion industry. A recent article in The Huffington Post highlighted the top fashion sustainability trend projects to watch for in 2017. Let’s take a look into some of these projects and how they are incorporating the color of the year’s aura into their brand. One project that’s turning the fashion industry in the “green” direction is La Vie En Orange; it’s actually taking old cotton t-shirts and turning them into cute, little undies. How cool and innovative is that? Nicole Giordano, the founder of Startup Fashion, said “the emergence of sustainable undergarment brands are popping up everywhere,” and we’re glad they are. The industry is hoping these options will grow on a much larger scale in the year of 2017. The premise of Greenery is everywhere; consumers just have to try out all the options to figure out what does and does not work. Let’s move onto what Greenery portrays visually and physically in this year’s trends. There is already a variety of styles that have appeared on the Spring 2017 runways. Some brands you may know that included Greenery in their collections are Chanel, Balenciaga, Gucci, Michael Kors, Max Mara and Kenzo, just to name a few. These looks included dresses, tops, bottoms and even matching sets of green. The Spring runway shoes are full of color and new trends, but the color green was a standout the past few months. In today’s digital world, it’s vital to keep street style in mind, as it is a major influencer on the fashion industry. One scroll through Pinterest will show you exactly how to rock green and all the different ways it can be styled. Embracing this color of the year can be as simple as throwing on a green scarf, purse or pair of shoes. This Pantone color, Greenery, is different than the color of the year in 2013, which was Emerald. Greenery is meant to be, “a refreshing and revitalizing shade, symbolic for new beginnings,” according to Pantone. Pantone provided us with endless color pairings to match with your Greenery look on their website. By adding a little pop of green to your everyday look, you will fall in love with this trendy color. Whether it’s in your daily style or sustainable projects, Greenery is taking over 2017. Get out there and rock your Greenery. Hi! My name is Sam Dickey and I am a sophomore at Kent. I am majoring in fashion merchandising with a minor in entrepreneurship. I really enjoy just relaxing and watching New Girl in my free time. I am currently working on my own blog so follow that, @thetrendynut. Come find me at the fashion building, I am always there!